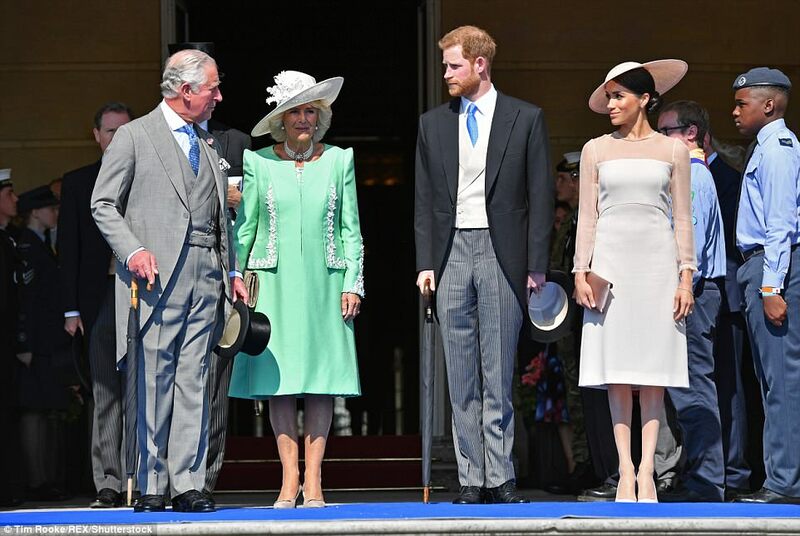 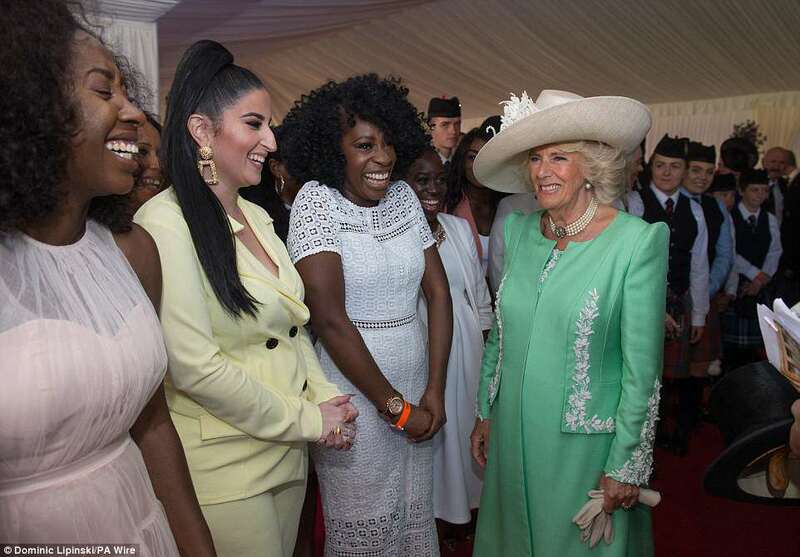 Meghan Markle made her first outing as the Duchess of Sussex today as the newlyweds arrived at Prince Charles's 70th birthday party at Buckingham Palace. 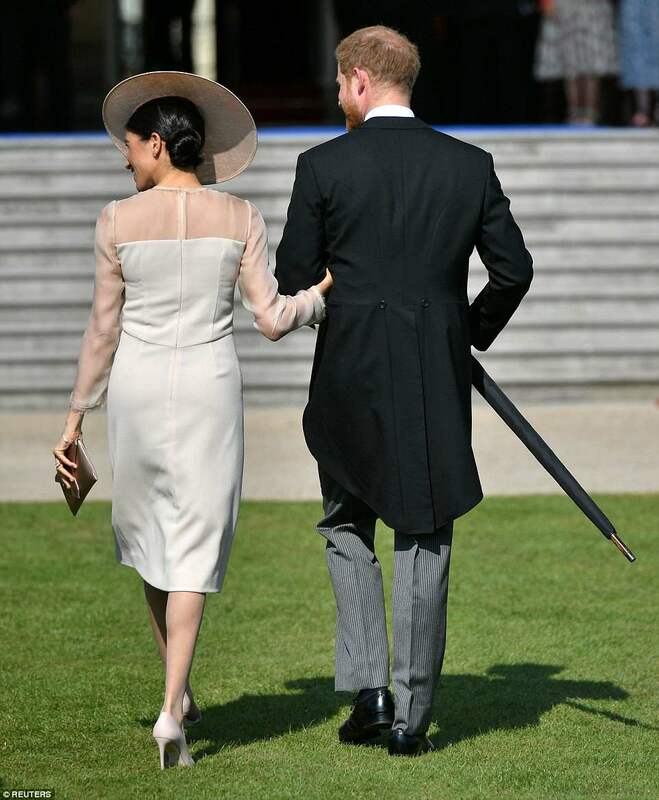 The honeymoon is over for Prince Harry and Meghan, with the new Duke of Sussex giving a warm and witty speech at the garden party in honour of his father Prince Charles. 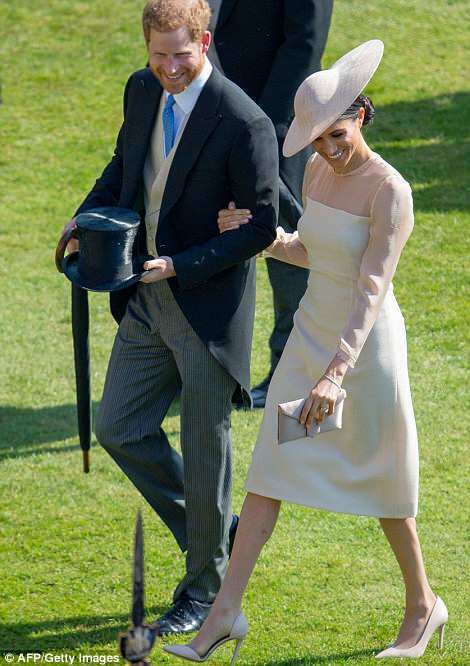 But their newlywed energy was on full display as she rubbed her hand up and down her husband's back as they made their way out. 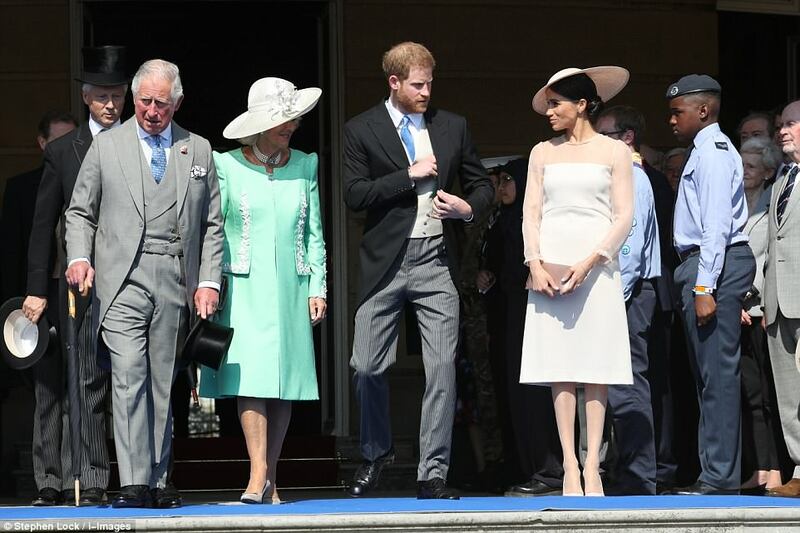 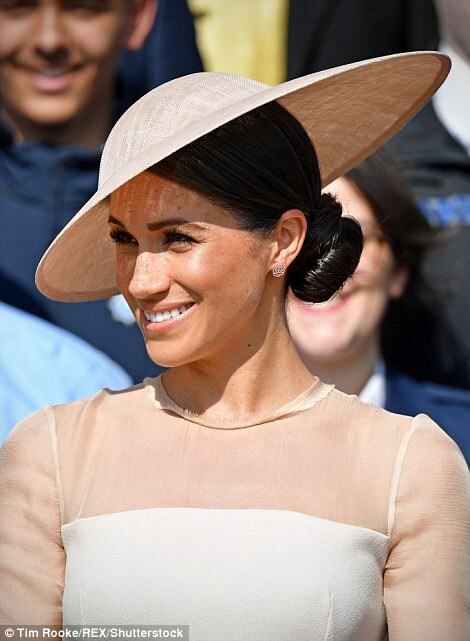 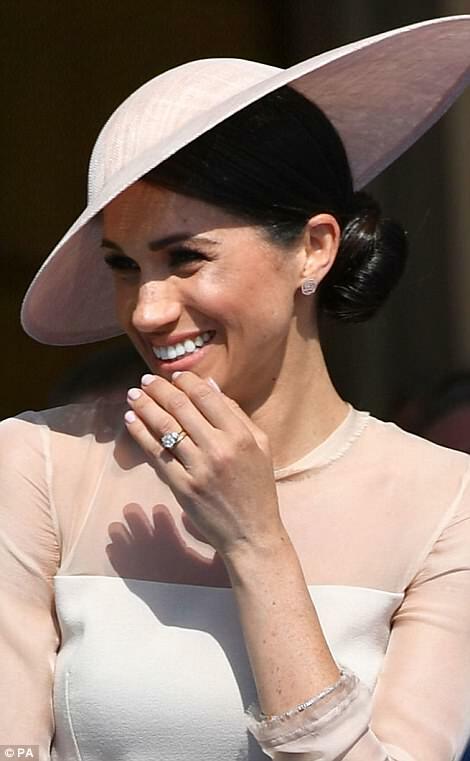 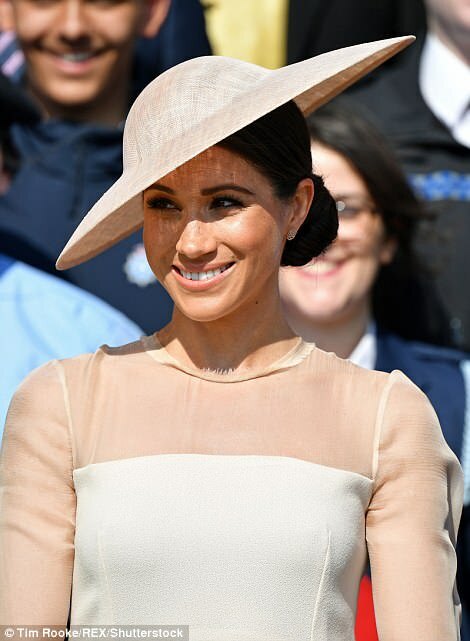 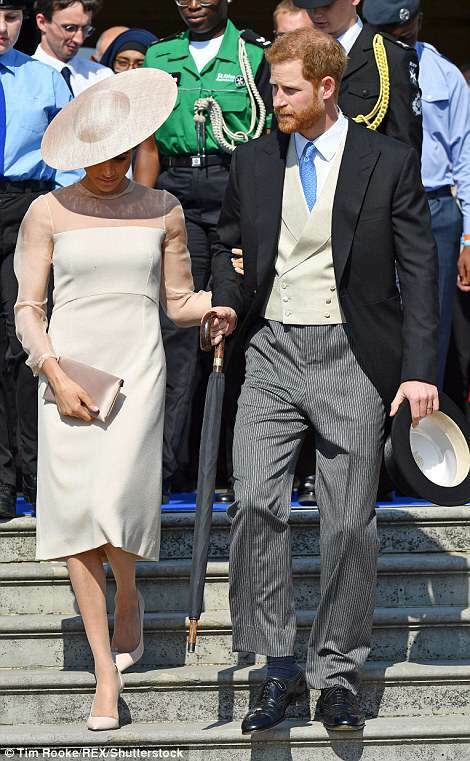 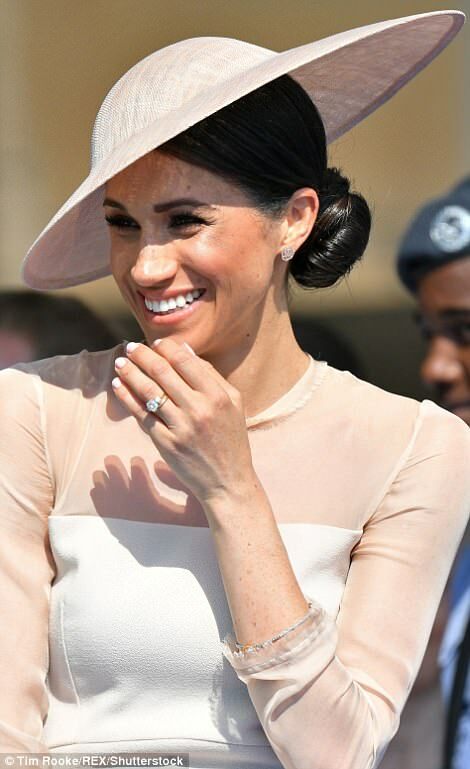 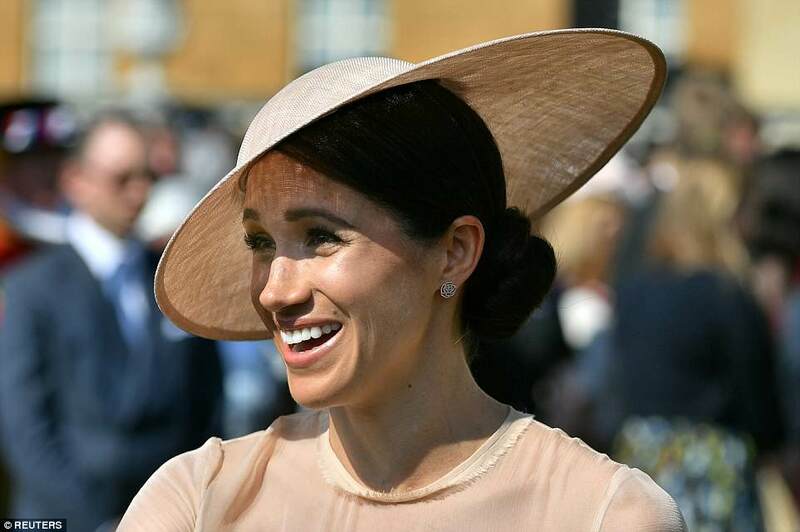 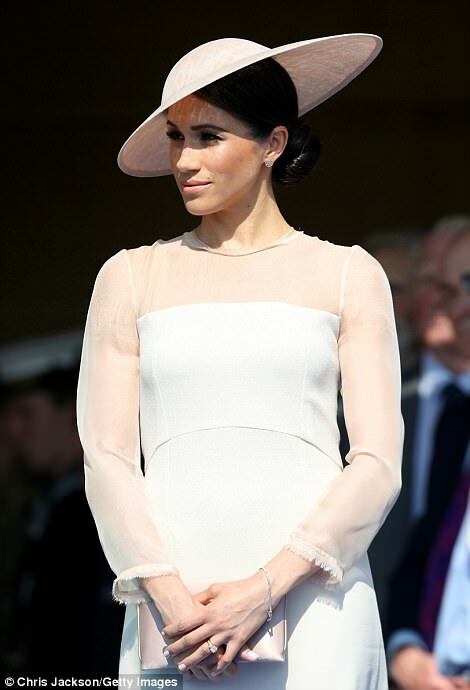 The Duchess of Sussex - who will be referred to as Her Royal Highness (HRH) for the first time in public - wore a white dress by Goat and a hat by Philip Treacy, switching up her signature messy bun for a chic up do. 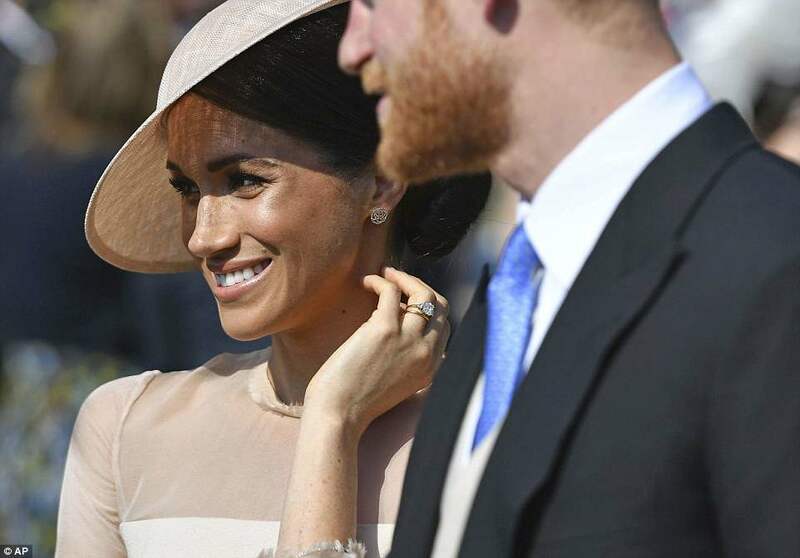 Meghan's nerves at her first public outing were quickly offset by a lighthearted moment when a bumblebee flew into Prince Harry's ear during his speech, sending her into a fit of giggles. 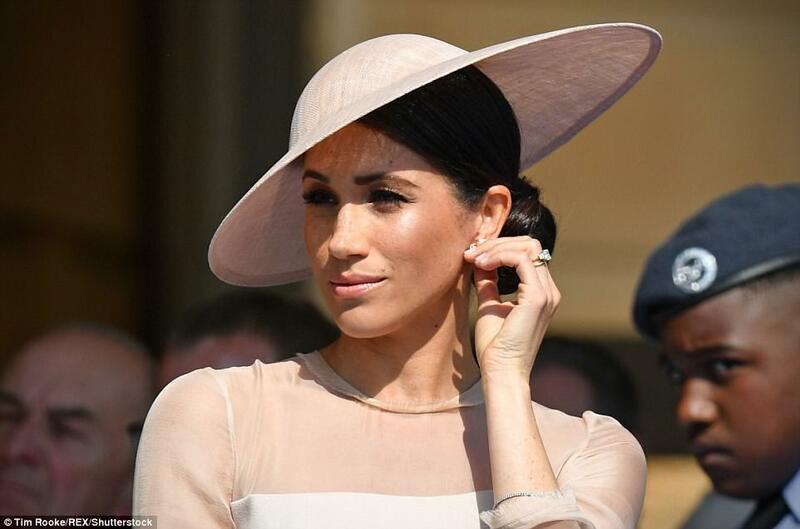 He continued: 'So Pa, while I know that you've asked that today not be about you, you must forgive me if I don't listen to you - much like when I was younger. 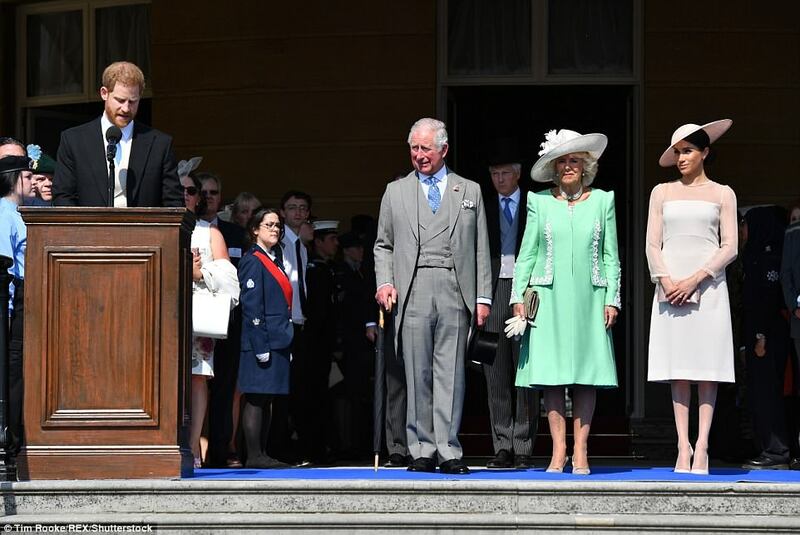 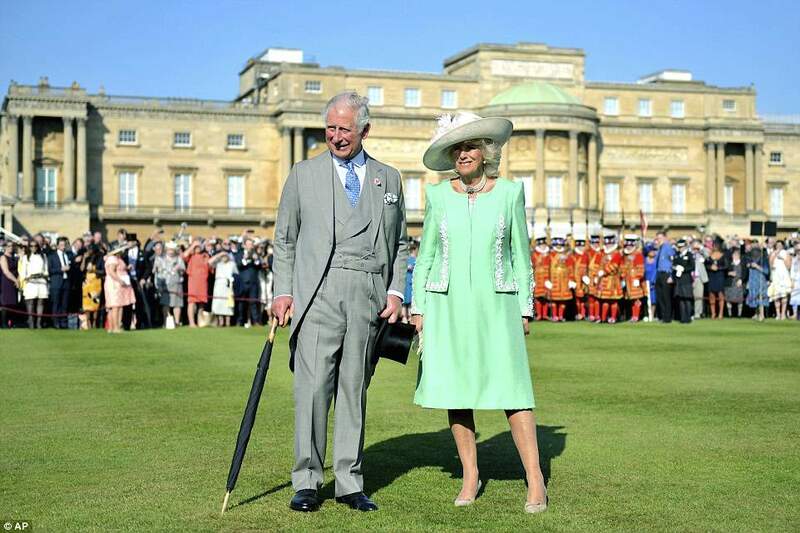 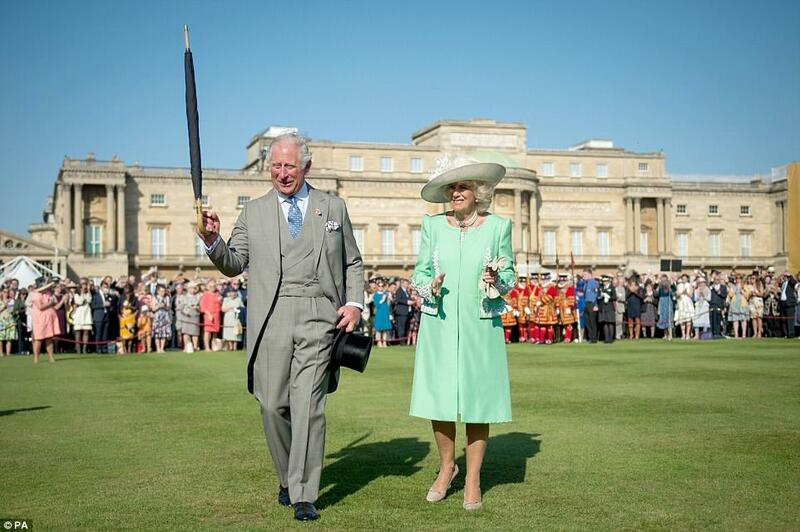 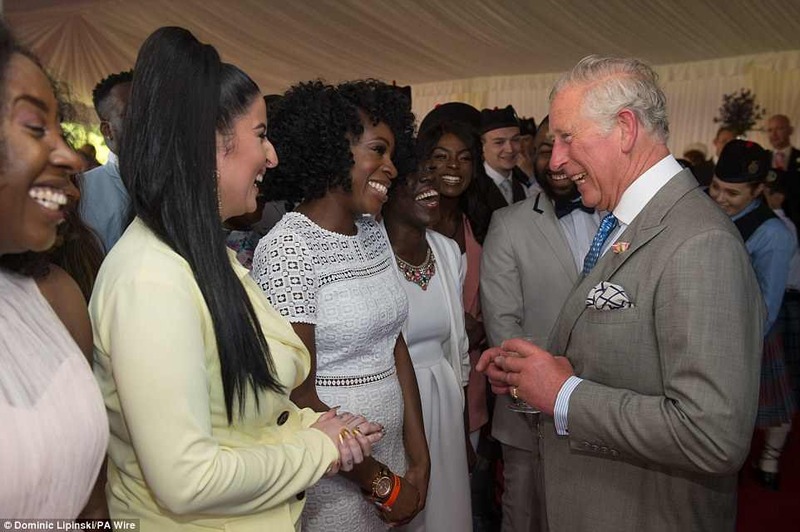 Charles looked slightly bemused and she leant across the laughing Duchess of Cornwall to explain to him what had happened. 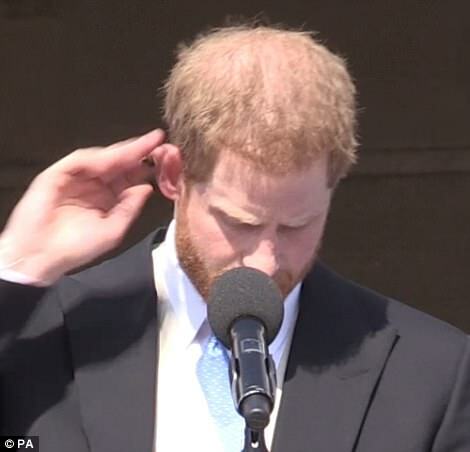 Ironically, Harry had just praised his father's life-long determination to protect species under threat. 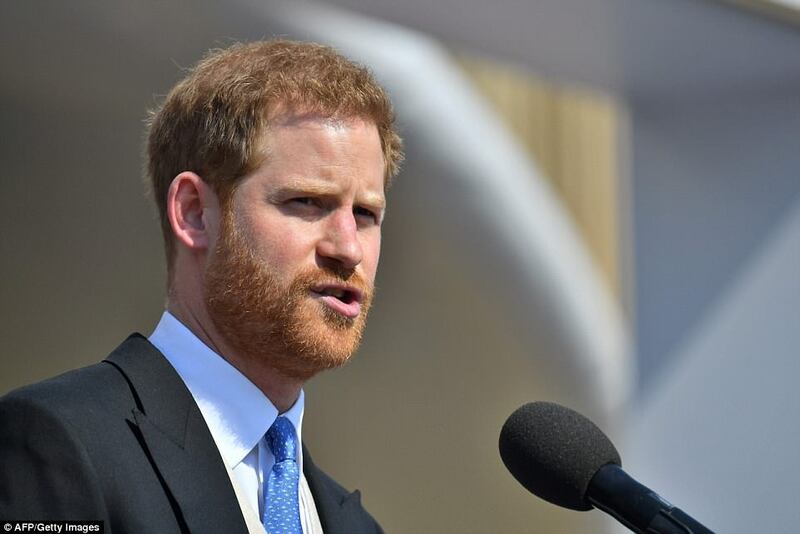 Harry said today: 'We're here today to reflect on and to celebrate my father's dedicated support to all of you and the work that you do. 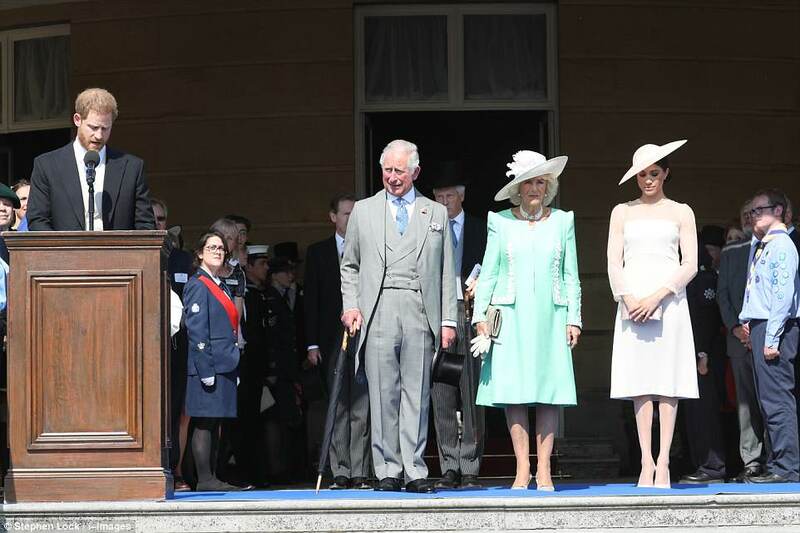 'But first, I would like us to take a moment to remember all those affected by the tragic events at the Manchester Arena a year ago. 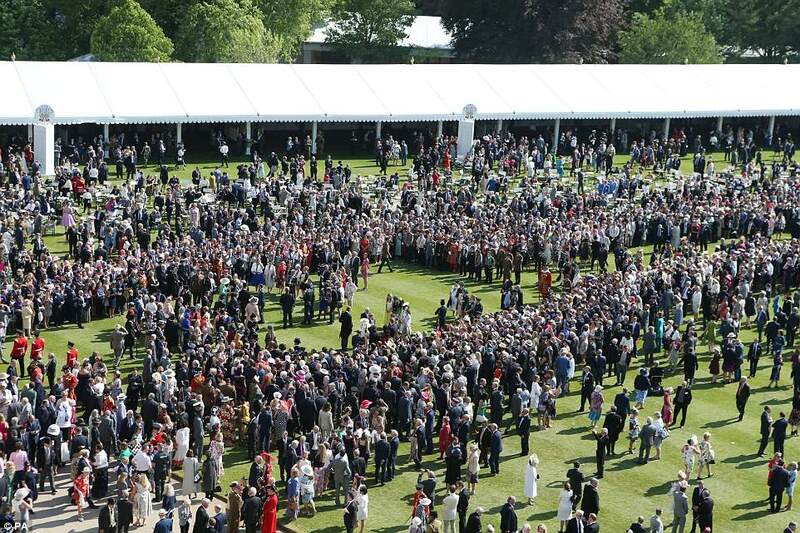 'We are fortunate to have over 250 representatives of the emergency services here today. 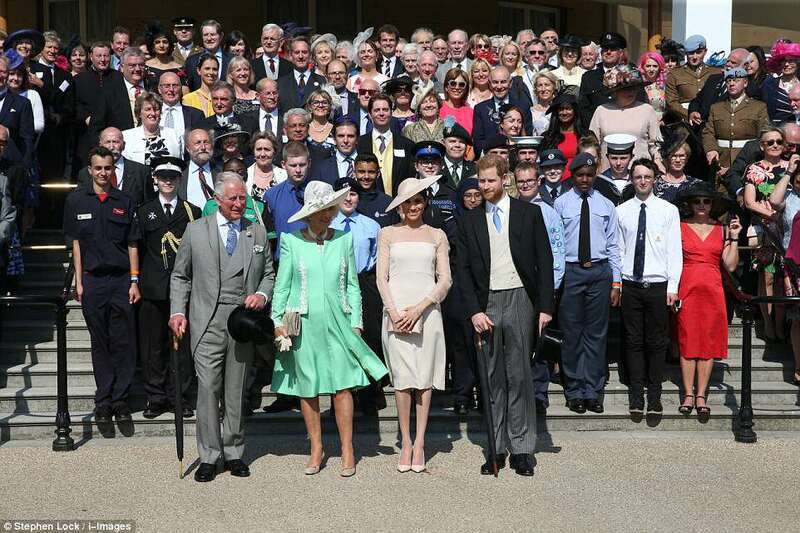 'It is right that we take a moment to recognise the amazing work they do every day, and how each member of our blue light services rise to meet the challenge of tragic events such as the attack a year ago. 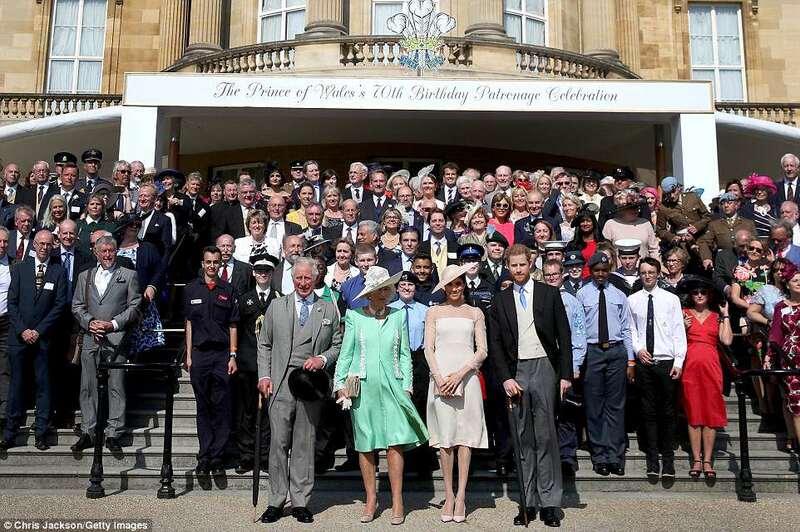 'We are also joined by Youth United Cadets. 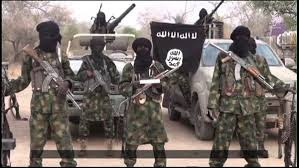 'Their organisation also provided triage support to the medical crews on the attack. 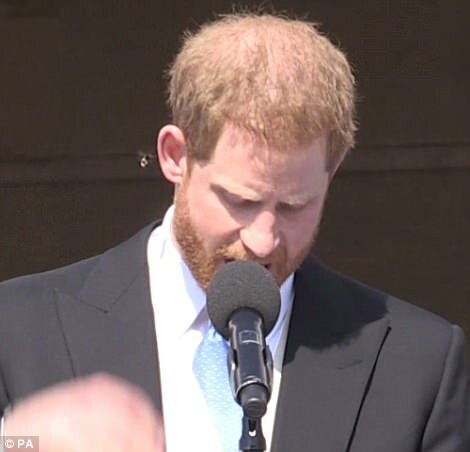 'So, on behalf of my family, and everyone here, I would like to say thank you to the emergency services and all those who supported the injured and affected.